While it may go unnoticed to the vast majority of smart phone users, Firefox OS launched this past Tuesday, with phones running the OS on sale by Telefonica in Spain. Next launch city? Warsaw, Poland. While the release of an HTML-based mobile operating system might not resonate with the larger populous, it marks a significant moment in the timeline of mobile history. Up until this point, mobile app stores have been controlled by corporations, each mandating how developers would have to conform from on high. For web developers, this scenario is ripe with the stink of browser wars we saw in the 90’s, which pitted Microsoft Internet Explorer vs. Netscape Navigator in a race to see who could pump out the newest proprietary feature first. Having developed websites through this digital dark age, the closed system that is the Apple App Store can’t help but make my stomach turn a bit. What Firefox OS represents, is the start of the democratization of the mobile app life cycle. It means mobile apps can be developed using web technologies, and shoehorning your HTML5 app into proprietary app stores may some day be a thing of the past. Right now, that future is just a distant twinkle in the sky, but it exists, and that’s enough to get me excited. It just feels right that the platform to challenge the current closed system would be the web. The web has always been about openness, and freedom from any one individual vendor. It also makes sense that the non-profit organization Mozilla would be the one behind creating one of the best HTML-based mobile operating systems. Recently, I’ve been tasked with finding a company that can provide mobile apps as a service for NESN. The options available are surprisingly slim. It’s 2013, and the majority of companies attempting to make money providing native apps as a service are fairly cookie-cutter, and don’t offer the customization that most people would like to have over their apps. It may be that mobile apps as a service are difficult to monetize, as we’ve seen with the discontinuation of platforms like AppMakr or Brightcove’s AppCloud. An industry where the technologies are undergoing rapid democratization and associated price drops probably doesn’t sound too salivating to corporate executives looking at their bottom line. Open web apps, as seen in Firefox OS, can be installed on a device just like a native app, or not. It’s 100% up to the user. That’s what the web is about; putting power back in the hands of users. As HTML5-based operating systems like Firefox OS and Tizen gain in popularity, we’re going to see a drop in the emphasis on creating apps only for iOS and Android, just as we saw Blackberry and others drop away as iOS and Android gained in popularity in recent years. Until then, we’ll still have to wedge our way into native app stores with our HTML-based apps. That’s what my book’s really about; a temporary shoehorn so you can get your content into the currently popular native mobile app stores. But the real beauty of apps powered by jQuery Mobile and PhoneGap is that you can port them to HTML-based platforms like Firefox OS and Tizen, in many cases with a single file: the cache manifest. If you can figure out how to build an HTML5 app now and get it into app stores, you’re polishing skills for the future. It’s my belief that everyone has the right to make their own app. The next generation of kids are going to ooze HTML. Platforms like Firefox OS are going to put the power back into the hands of the people. 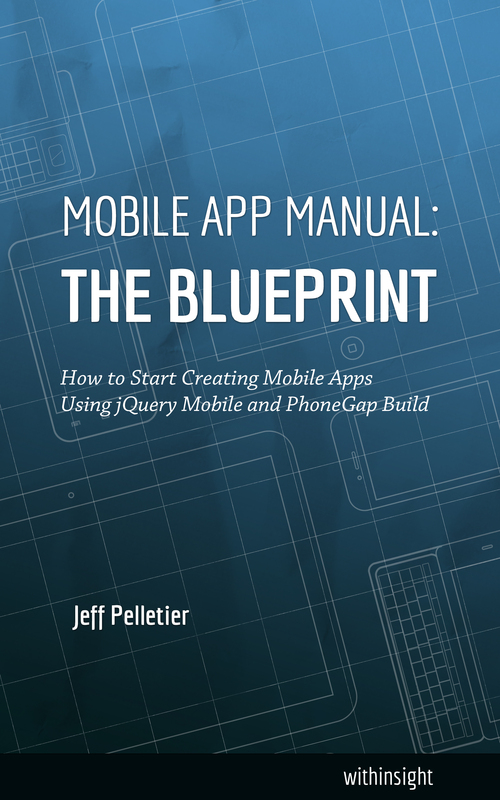 This entry was posted in Firefox OS, jQuery Mobile, Open Web, PhoneGap, Tizen on July 13, 2013 by Jeff Pelletier.